I just returned from Canada, where I was one of the keynote speakers at Doreen Penner‘s women’s retreat, Walk Into Your Blessing. I flew into Canada on a Delta flight and came back home by train on the Canadian Via railway and the American Amtrak railway. It was one of the most incredible, funnest things I’ve ever done in my life and I can’t wait to share it with you! I had many divine appointments on this trip. It’s hard to compress everything that happened into one short blog post, so I’m going to break up the exciting stories into several shorter posts like I did my Bahamas cruise trip, when I spoke at the Women of Destiny conference. Also, I created a private forum on Facebook, and uploaded 6 videos, sharing what happened. If you’d like to be part of this exclusive forum to see the videos, request to be my friend on Facebook and private message me on Facebook that you’d like to be part of it. Below is part 1 of the Canada trip blog series. I’d love to hear your thoughts after reading this blog series! Please share in the comments below! Remember that when you say YES to God, He will do amazing things beyond your wildest dreams! How did I get an invitation to speak in Canada? GOD! God is my best PR agent! I met Doreen Penner on Facebook last year. 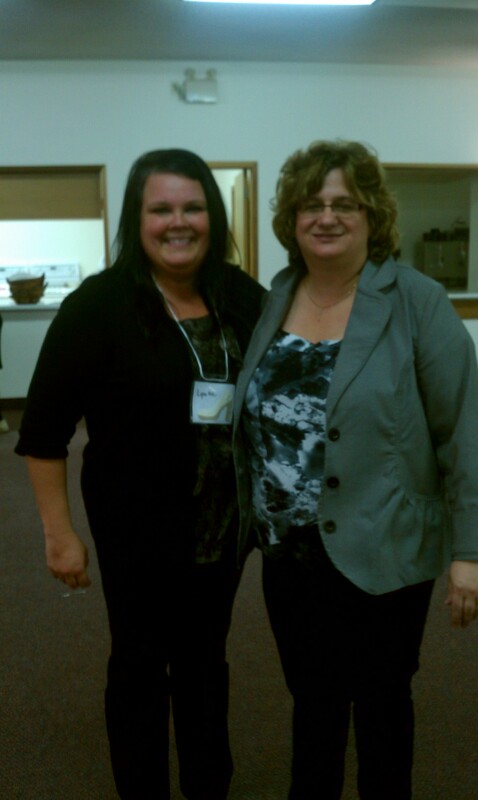 We are both members of Diane Cunningham’s NACWE * organization for Christian women entrepreneurs. Doreen and I share the same passion for women fulfilling their God-designed purpose, and I felt prompted by God to ask her to be a guest speaker on a webinar. In 2012, God gave me a vision for women speakers, authors, coaches, and entrepreneurs to share their heart messages with the world on webinars. To my delight, Doreen accepted the invitation and it was an anointed session. We both felt a connection to one another. God will bring DIVINE CONNECTIONS into your life! This is the power of SOCIAL MEDIA! 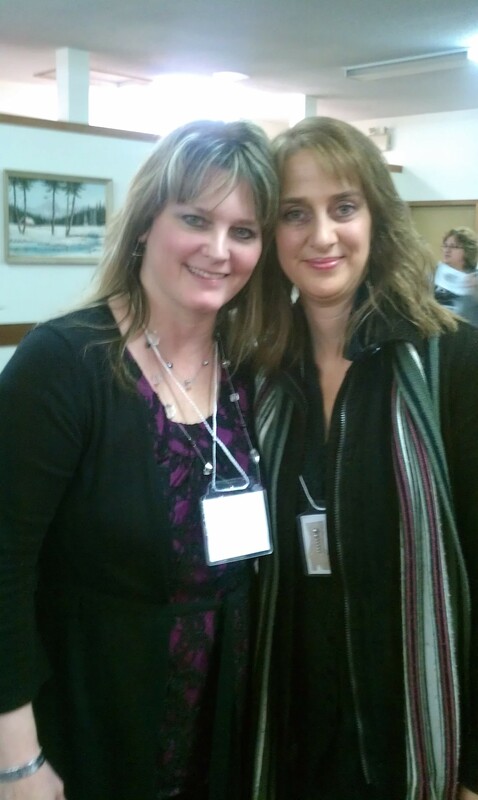 When I read in Doreen’s ezine recently that she was having her first women’s retreat in Mitchell, Manitoba, Canada, I emailed her about it, telling her I wanted to go, even though it seemed a financial impossibility. Doreen actually had been thinking of me and wanted me to be there. Before I knew it, she was asking me to speak as one of the keynote speakers at the first session! There would be three sessions, and she and Karen Wells were the other keynote speakers. Here’s the 3 of us below. Yep, I am in my NEW SHOES! When God gave Doreen the vision for this retreat, He also put together a team to assist her: her friend Helen Reimer, her sister Edna Russell, her friend Lynette Krahn, and her worship leader and friend, Rachel Giesbrecht. These are loving, very giving, gifted women. Ask God to help you put your team together. Remember that Jesus prayed all night before choosing His disciples. You can’t build a profitable, successful business being a Lone Ranger. You need God and others to help you. They will have strengths where you have weaknesses, and you have strengths where they have weaknesses. With a great team, you will have great success as Doreen did. Helen was in charge of planning, organizing, and decorating, and did an incredible job. The retreat theme was Walk Into Your Blessing. 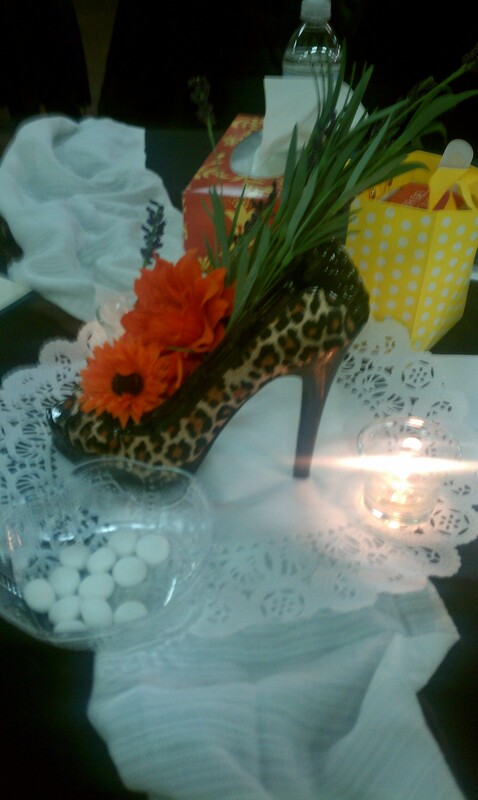 On each table there were lovely cloths, with a centerpiece of a beautiful shoe with flowers inside the shoe. Who would think of this but someone very creative! It looked stunning. I love how Helen thinks outside the box! About 24 women attended the retreat ~all ages, races, and denominations. I believe that God gave Doreen this vision for the retreat and that it’s going to grow BIG, like Women of Faith in America. I shared this with Doreen and the audience at the end of the retreat, and again later at dinner with Doreen and her husband Rick. I’m so excited to see what God is going to do! Doreen’s sister Edna met me at the Canadian airport with Doreen. She, Doreen, and Doreen’s wonderful family made me feel immediately welcome and so loved! Doreen and her husband Rick have such servant hearts. 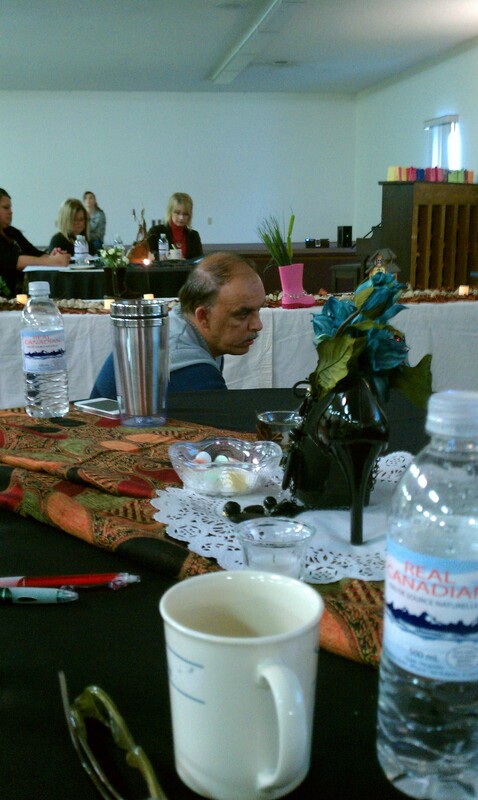 Rick was amazing with all the things he did to help Doreen with for this retreat, especially the sound/video system. He was able to get the speakers lapel mics and made sure our sessions were videoed. I miss everyone so much already, and hope to come back! Edna is so sweet and such a prayer warrior. 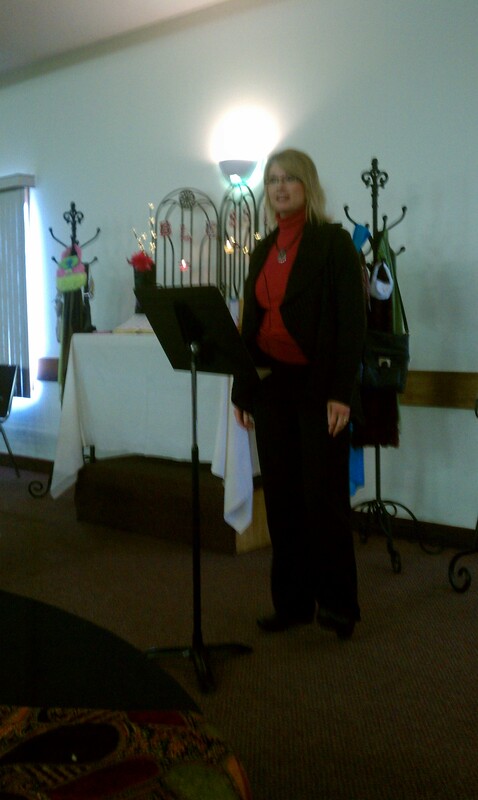 At the women’s retreat, Edna started us off with prayer and Rachel Giesbrecht led beautiful worship on the piano. I was so blessed that the song Rachel started with was about God is our Friend. Helen was not only the retreat decorator, but also the M.C. 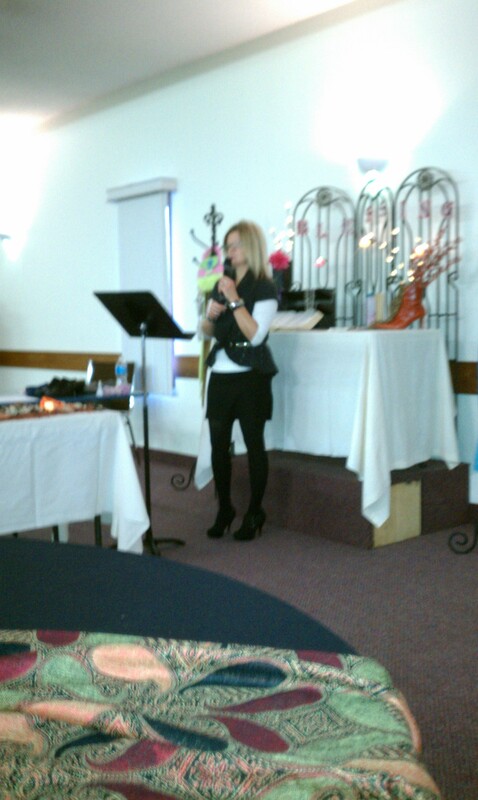 There was an instant anointing as Helen took the mic. She is an incredible speaker and needs to get out there speaking, sharing her heart-breaking but powerful testimony, and writing her story in a book! Whatever your gift is, be sure to use it! Time is short and we need to be about God the Father’s business. Helen is beautiful, loving, giving, creative, intelligent, and so friendly. I loved her so much and miss her! Helen and her husband Dan also so generously allowed Karen and me to stay in their beautiful, Italian-decor home while we were there. I felt such a warm Canadian welcome from these people! Helen Reimer – loved her! We centered our presentations on the theme, Walking Into Your Blessing, but each of us had a distinctive speaking style and a different type of personality, so it was interesting. I am a very visual person, so I use a lot of visual aids when I speak. I started off my presentation by sharing the Cinderella story. Only her foot fit the glass slipper. Are you wearing the shoes custom-designed by God for you? Are you walking in shoes that fit? Are you fulfilling YOUR unique, God-given purpose and using the gifts He’s given you? 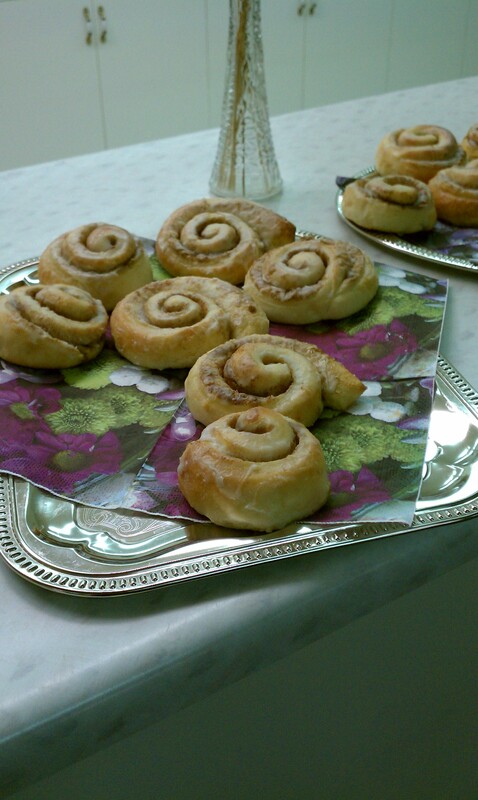 Helen’s sister Becky Friesen made delicious cinammon buns for our morning break. The center was so moist. Perfect with coffee! 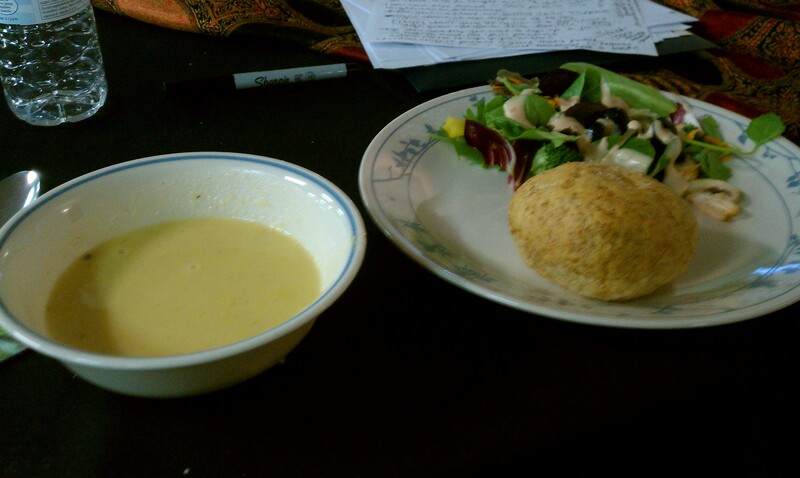 For lunch, Helen, Edna, and others had cooked cheesy potato soup, served with dinner rolls and salad. Doreen wanted to include a fun activity for the women for the afternoon, so we created a faith board. It’s similar to a vision board, only it’s more centered on our faith in Christ. Lynette was the wheel in motion for this part and so much of the behind-the-scenes, necessary tasks. Below is a picture of Lynette and Karen. Lynette is glowing because she is now engaged and flew this week to Louisiana to see her sweetheart. Lynette, hope you are having a BLAST! You deserve it! Thank you for all your help personally to me! The women cut pictures from magazines and glued or taped them on white or black poster board, representing their values, their dreams, their goals, anything that was important and meaningful to them. Scrapbooking materials were supplied. I was surprised that everyone in the room was engaged in this activity, because not everyone enjoys doing crafts. Great idea, Doreen! 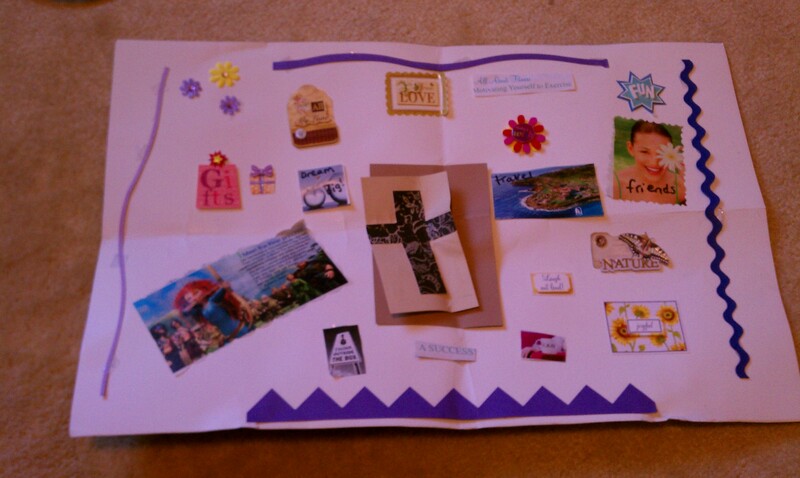 You can create your own faith board at home. Be inspired by God and tap into your creativity. No limits with God! We had some fun give-aways at the retreat. I gave away one of my books, The Hands Of A Woman: Everyday Women In Everyday Battles, which you can buy here at my website’s Estore or at WomensBattles.com. 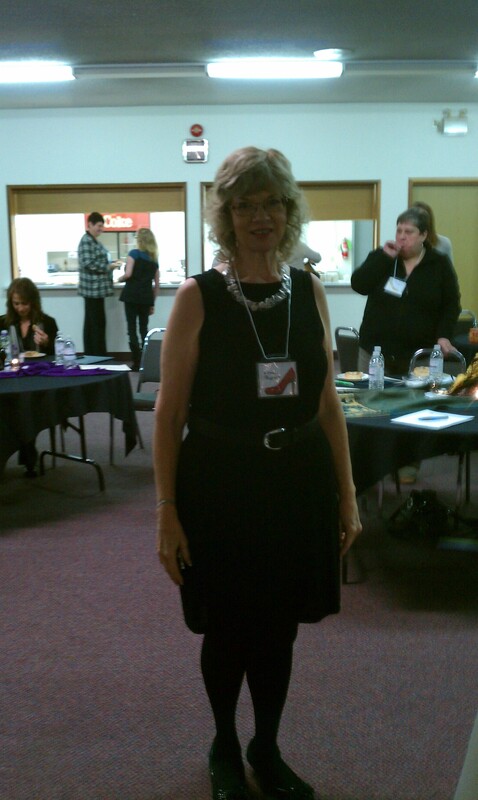 I also gave away a free coaching session at the retreat. 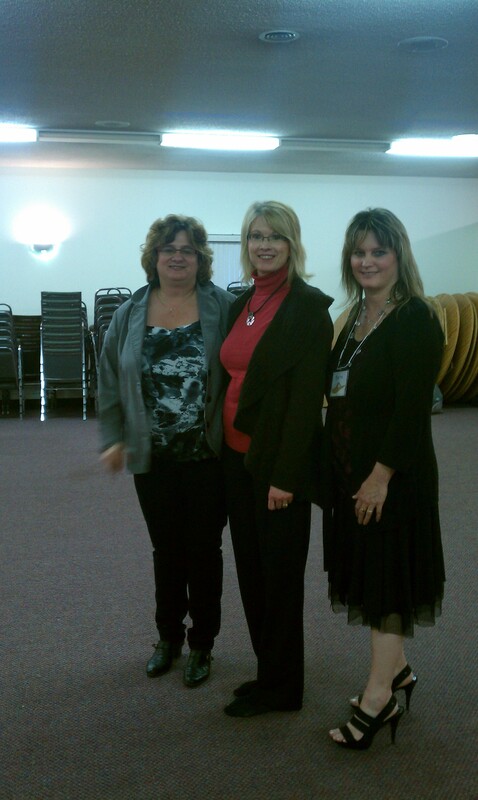 At the end of the day, Doreen, Karen, and I had a panel discussion during the Q & A time for the attendees. We sat up front and answered any questions the attendees might have, or expanded on something that they wanted to know more about from our presentations. This was an important part of the retreat to connect more with the audience. Find ways to really reach and connect with your target market, tribe, fans, whatever you call them. Afterward, we offered to pray for anyone who needed prayer. Two women asked me afterward to pray with them. Below is a picture of one of the sweet, precious attendees I was able to pray for, Claire. This is always my favorite part of speaking, getting to talk with the women and pray for them, giving them words of encouragement. The retreat was a HUGE SUCCESS. One attendee voted it “an 11 out of 10.” We had the women fill out evaluation forms about the retreat for feedback, and received rave reviews. Everything was very well organized and flowed smoothly. Doreen and her team made it happen! God’s presence was there. The women were blessed and uplifted. The speakers were anointed. 🙂 We had fun and good food. God is just amazing! That night Doreen, her husband Rick, her daughter Kirsten and her friend, Doreen’s team, Karen and I went to Helen’s and Dan’s house and ordered pizza. We talked about the retreat, what went well, feedback we’d received, and ideas for the next retreat in 2013. Then we went to bed and crashed, sleeping great! 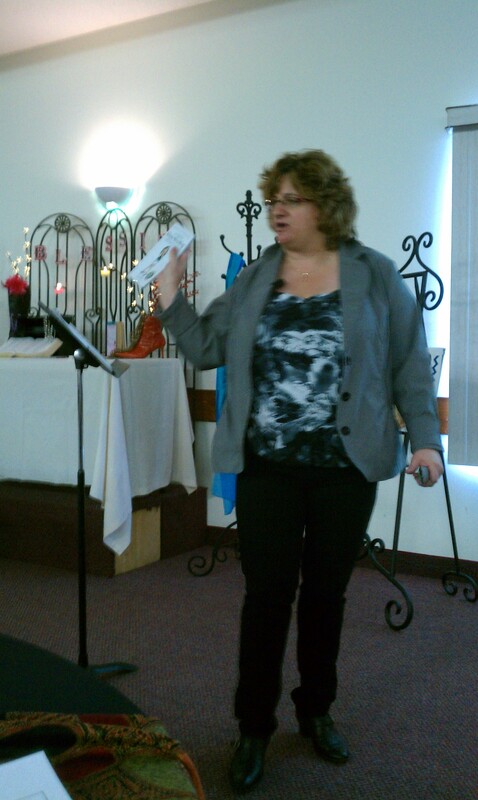 Doreen is taking the vision and running with it, (Habakkuk 2:20), planning her next retreat for 2013. This retreat turned out to be an incredible blessing for me! I’m so thankful and honored that I was able to be one of the keynote speakers there. So humbled God chose me and so grateful to Him for how He provided EVERYTHING I needed to make this trip. Yes, God did MONEY MIRACLES for me on this trip! I’m also so thankful to my husband Ray for working so hard to provide for our family so I can do things like this and being supportive of my calling and me using my gifts for God. Thank you to all my friends and fans who prayed for me about this incredible journey! I have so much more to share with you about the divine appointments I had on the trains going through Canada and the U.S. Stay tuned for part 2 of this blog series! 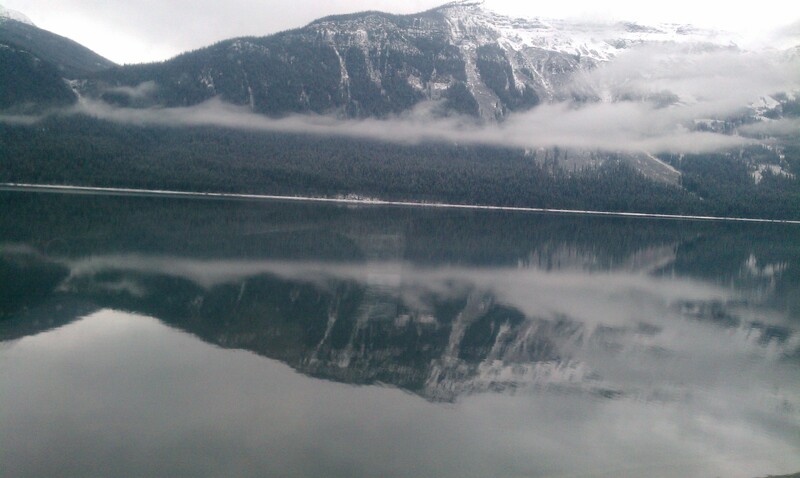 The beauty of the Rockies was breath-taking! ← When life hurts, what do you do? Thanks, Tony. So much happened on this trip. What can I say – God is so good. Beth this is so beautiful, thank you for sharing your faith walk with us!